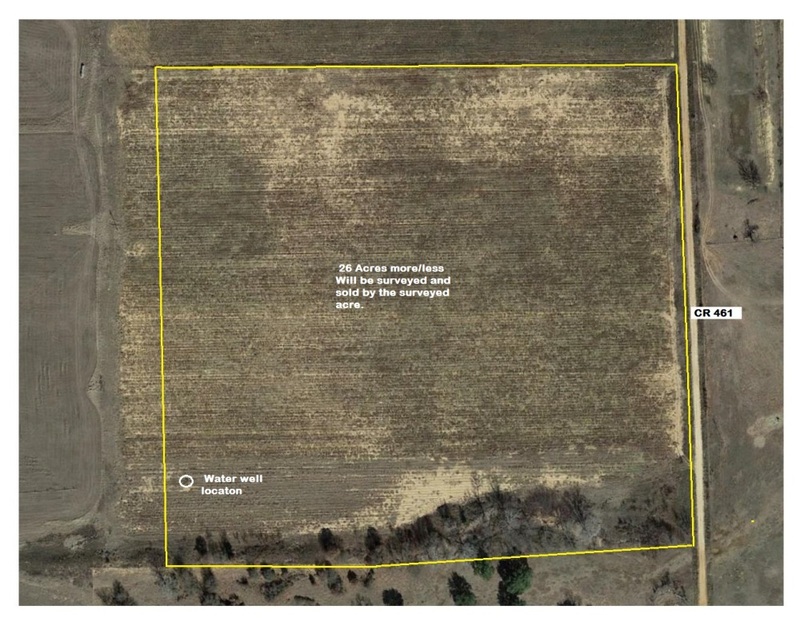 26 +/- Acres of good Sandy Land! Great Soil for Horse Place!! expense and sold by the surveyed acre. on 3 sides and will retain the county road (east) side and the north and south fences as boundaries. The west property line will be moved approx. 75' east (toward county road) from where the current fence is located and this boundary will need a new fence built . The land is very sandy and has a water well that the owner reports was being used 4 years ago, however a storm took down the power pole so there is no electricity to it at this time. on the south side with several large Cottonwood and Elm trees. Large wild plum thicket and wild blackberries. Lots of wild hogs and deer in this area. Owner reports to own 1/2 of the mineral rights and will convey all owned to the buyer.